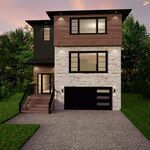 Lot 804A Wisteria Lane, Upper Tantallon (MLS® 201907109): Welcome to this gorgeous custom built two storey home in popular St. Margarets Village. 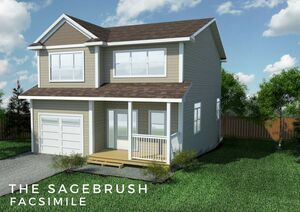 Picket Fence Homes proudly introduces, The Sagebrush. 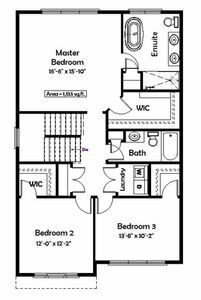 Featuring 2206 sq. ft. of modern open concept living, this home is sure to please. Upon entering the large foyer with ample storage for shoes and coats you have a favourable den or office area. The kitchen features maple cabinets, a large island with seating and a walk-in pantry. 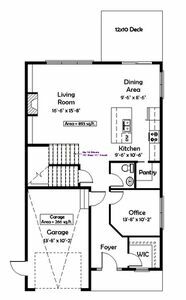 The upper floor has a large master suite with spacious walk-in closet and lovely ensuite with custom shower and soaker tub. Two other spacious bedrooms with walk-in closets, large main bath and laundry room complete this floor. A full unfinished basement gives you lots or room to grow. Price includes propane fireplace, hardwood floors and stairs, whole home heat pump. Convenient access to Halifax on the 103, 15 minutes walking distance or a short bike ride to the amenities, schools and coffee shops in your quaint and private neighbourhood.